Blue Planet Society are championing the black-legged kittiwake in Arkive’s 2017 #LoveSpecies campaign. 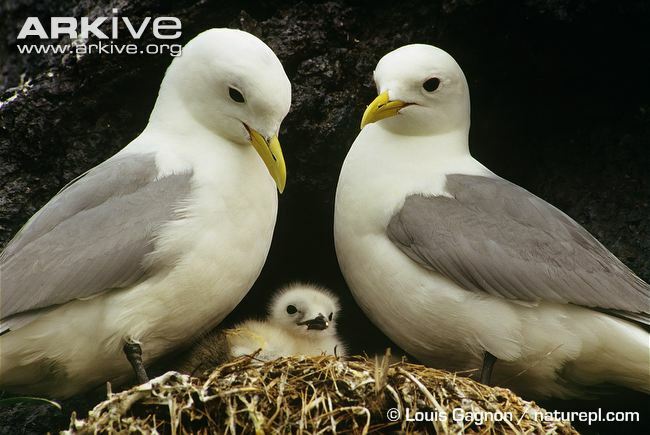 The black-legged kittiwake is a dainty gull with black-tipped silver wings, yellow bill and dark eyes. This pretty gull’s shrill call “kittee wa-aake” gives them their name. Colonies of black-legged kittiwakes are most commonly found on sheer cliffs in the Northern Hemisphere, it is on these perilous cliffs that they build a deep nest from seaweed, mud and grass and deposit two speckled eggs from which downy, white chicks emerge. The kittiwake preys on sandeels and shoals of other small fish and does not scavenge like other gull species. 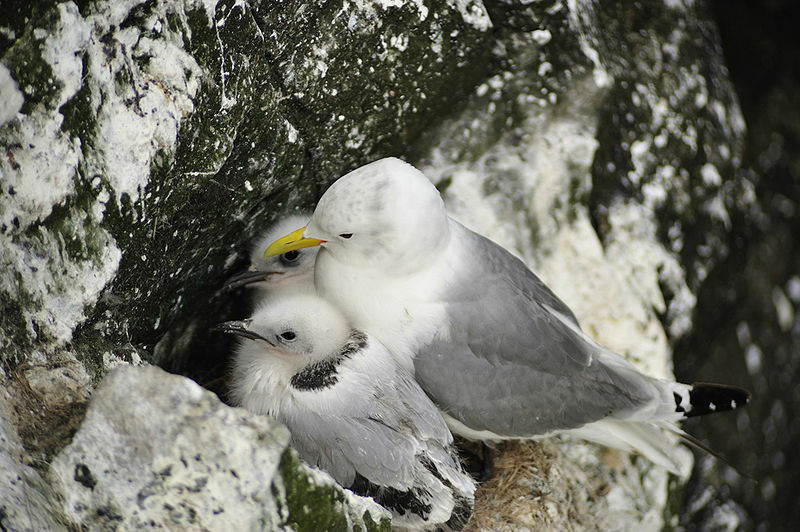 Kittiwake numbers in the UK have declined by around 50% (66% in Scotland) since the mid-1980s. This decline appears to have been driven by a slump in the availability of sandeels due to climate change and overfishing. Breeding failure increases with the proportion of sandeels fished. We are campaigning for more protection for seabird foraging areas, especially during the breeding season. We would like to see increased restrictions on sandeel and other forage fish fisheries and more research into plankton, climate change and their association with sandeel availability.